We’re delighted to announce that we have opened a luxurious Lexus showroom in Preston. As part of the Vantage Motor Group, we’re already supplying motorists in Birmingham, Leeds and Wolverhampton with the latest models from this premium brand. Now, customers in Preston have the opportunity to experience amazing and test drive the range in an environment tailored to complement the outstanding quality, exceptional driving dynamics and inimitable style. We look forward to welcoming you. 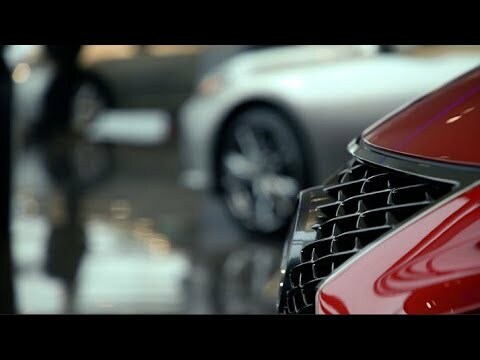 Our team are ready to show you why your next vehicle should be a Lexus. With its dynamic approach to technology, brave and distinctive design, exquisite craftsmanship, and precise attention to detail, Lexus is at the forefront of innovation. The Lexus Self-Charging Hybrid system is leading the way in Hybrid technology and our team are looking forward to explaining why these vehicles are the best choice for your future. James Hughes is our Centre Principal at Lexus Preston and is thrilled to be able to bring the brand to a new area. With a wealth of experience to bring to the centre we know that James is the perfect person to launch this brand new centre and his passion for the Lexus brand is already evident in the fantastic customer experiences he is providing with his team. "I am so excited to be bringing this luxury brand to the Preston area. The exquisite detail that goes into every element of designing and manufacturing these vehicles is phenomenal. My team and I are incredibly proud to be able to provide such a a fantastic product and we endeavor to match that with the customer experience we are providing"
​Open 7 days a week and located on Riversway Motor Park, Lexus Preston is easily accessible from the surrounding areas. Our friendly and welcoming team are on hand to give you advice on anything from sales to servicing, to fleet, and are dedicated to providing an excellent experience. If you are unable to visit our centre, either contact us over the phone or visit our website where you can take advantage of our instant Live Chat feature or submit an enquiry form for our team to respond to as soon as possible. Come and visit us, and look at the excellent range of Lexus vehicles we have on offer in our new Preston dealership. We look forward to meeting you!